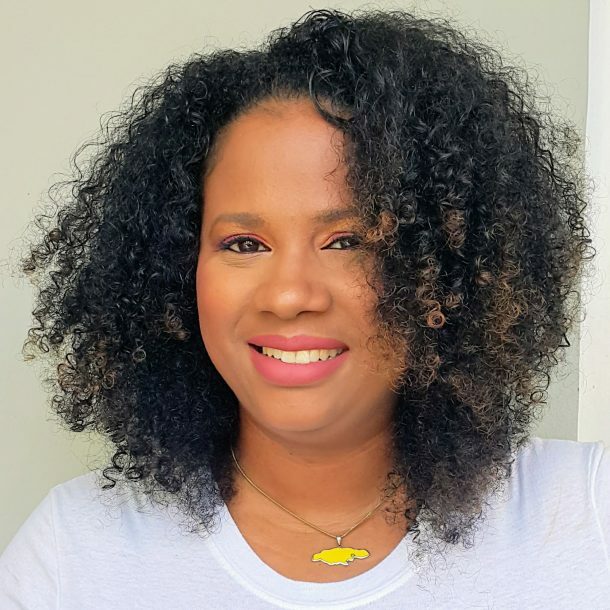 Sometimes it seems that it’s easy to live and eat organically in Jamaica since we’re always close to farmers and fresh produce. However our farmers use pesticides and chemicals too. Do you really know where your produce is coming from and what’s been used on them in their growing process? There’s a movement to healthier lifestyles all around and eating clean organic foods is one way to increase your overall health but it can be costly to always buy organic food. This post will point out some ways that you can live healthier and eat organic on a budget. Eating organic food doesn’t have to be expensive. 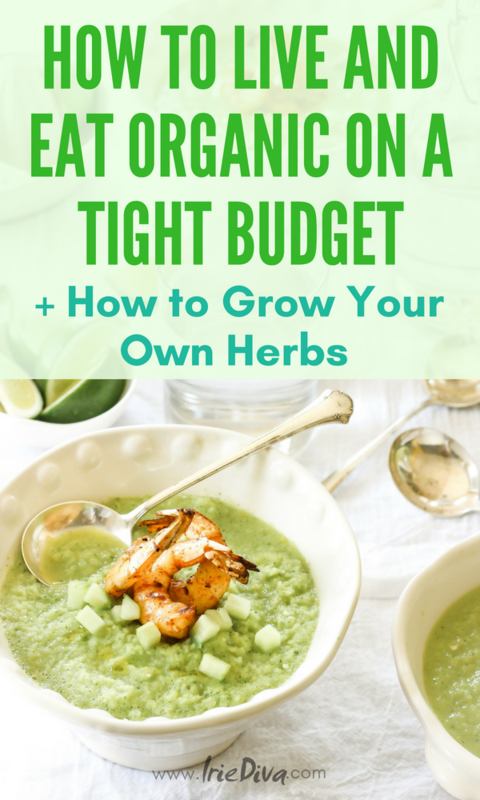 While it might seem out of reach for some, with some clever thinking and planning, it is totally possible to live organically on a budget. Here are the top 10 ways to bring organic into your life while being easy on your pocket. Even the smallest of gardens or even window boxes can grow anything starting with some simple herbs. By growing your own, you have complete control over the process and can ensure there are no pesticides involved. You will also have a ready supply of fruit, vegetables, and herbs on demand, which will reduce your shopping bill. Start small and grow some peppers, tomatoes, escallion and herbs in containers and be sure to plant lots of fruit trees in your yard if possible. You can also start a pumpkin patch or grow a couple banana trees for some starch if you have a yard space. Fresh organic foods are always the best, but being that they are fresh, they don’t always last very long. The simple solution is to cook more than is needed for that day, and freeze the rest. You will have a decent supply of organic food that simply needs microwaving or warming on the stove. A benefit of this is always having prepared food on hand. Meal-prepping is a great way of controlling your diet and staying healthy since you won’t be tempted to reach for something low in nutrition when you’re hungry but short on time. Instead of buying whatever you fancy, focus on what is in season. Purchasing what’s in season where you live ensures that the produce hasn’t had to travel from another country halfway across the world. The less travel the food has to do, the cheaper it will be. It will also be quite abundant so you could consider freezing some of it. Supermarkets are super convenient but can be atrocious for organic food, with increased prices and restricted quantity of foods to choose from. To ensure you get the best deal, search around the supermarkets or even online to find their prices for different items. You are likely to get the best combination when you purchase some items from the supermarket and some from the local markets. There are also lots of farms that deliver fresh produce weekly for your convenience. Processed convenience food and beauty products are more expensive, particularly when purchasing the organic version. This can put many people off going organic, as it is seemingly costly. However, with some simple ingredients and organization, it is possible to make your own versions of your favorite food and beauty products. I have lots of DIY beauty recipes on this blog to choose from. You can start here for a homemade deep conditioner and try this whipped body butter to use on your skin instead of lotions. These all-natural face masks will also help to keep your face clear of acne and this green tea toner is awesome for hyperpigmentation. Similarly, you can make organic versions of tomato sauce for your pasta dishes and your own trail mix or whole grains mix for breakfast cereal. Being organized is the key to living on a budget, and organic living is no different. While convenience foods are cheap and easy, they are rarely organic. To make sticking to a budget easier, plan meals for the week and what you need to prepare them. Additionally, plan when you will need fast food and ensure you have sufficient leftovers in the freezer that you can just heat up in the microwave. A bullet journal is an excellent way to meal plan and keep organized. Check this post for my best organization tips using a bullet journal. Not all foods are subjected to the same amount of pesticides and harmful chemicals. Knowing the differences and which ones are, will ensure you focus your coins on those that must be bought organic. If you can only afford to purchase some organic fruits and vegetables, prioritize apples, celery, peppers, grapes, and spinach; these have the highest exposure to pesticides and therefore should always be bought organic. In contrast, foods such as onions, pineapple, cabbage, and sweetcorn are least likely to have been exposed to pesticides. You could justify not buying organic versions of these foods. Meat and cheese is usually expensive, and organic is no exception. Buying organic meet ensures you are purchasing high-quality meat that is subjected to high welfare standards and by reducing the amount of meat and cheese you eat, you will keep the cost down. This should also encourage you to have a more plant-based diet increasing your overall health. Try a meatless Monday for instance where you prepare a meal with the protein coming from eggs or beans instead of meat. This salad topped with eggs continues to be one of my favourites and munchkin loves when I make this black bean quinoa salad. Purchasing anything in bulk is always cheaper than buying small portions. You will need adequate storage for bulk, but it will be worth it. For buying in bulk, focus on staple ingredients such as pasta, grains and pulses. These will keep for a long time and ensure you are living organically on a budget. Proper storage is paramount to keep bugs from reaching these as well as to keep the freshness even though these foods stay fresh for longer. Here are a few ways to keep organic food fresher longer. Instead of putting food waste in the recycling, or worse, throwing it away, use it up in your garden. It will act as a fertilizer, meaning you will spend less money on such products, and ensure all food is used in some way or another. Wondering how to get started with growing some organic foods of your own? Start small with some herbs. When it comes to buying culinary herbs or those used for medicinal purposes, growing your own ensures its organic and this makes it easy on the pocket. It provides ample supply for your needs and even a novice can manage to care for herb plants. There are two options for growing herbs. People who live in apartments or who do not have access to a wide enough patch outdoors can grow their herbs indoors. Indoor plants are less likely to be affected by worms, insects, yellowing by the sun and weather issues. As long as you have access to adequate sunlight, fertilizer to nourish your plants, good drainage and water, they will live and thrive. Depending on your preference, you can grow herbs from seedlings or seeds. It is a bit more work to grow from seeds, though. herbal seeds kits are available online and at most garden centers. They act as small greenhouses, holding in moisture as the seed takes root. Once they sprout and become mature enough, transplant them in the ground. Here are some tips for outdoor herb planting. Keep them watered – Overwatering can retard growth. Add water regularly to keep the soil moist but not overly damp. A layer of mulch on top can keep weeds away. If you’re in a location with seasonal weather, harvest leaves during the summer and into fall. Some herbs are hearty enough to stay fresh and potent through the winter, but most will fall off and lose flavour. It is best to harvest at their peak. Growing your own herbs can be both rewarding and fun. Once you get them started, a little maintenance is all you need for wonderful results. Have you ever experimented with growing your own food?